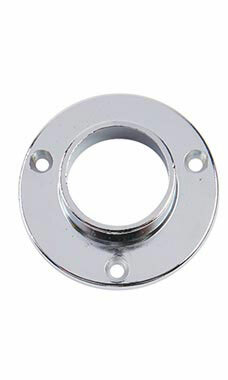 Closed Wall Mount Flange mounts directly to wall for use with a 1-1/4" diameter hangrail. The Closed Wall Flange features a chrome finish and can be used together with our Open Wall Flange for easy installation. Hardware not included.